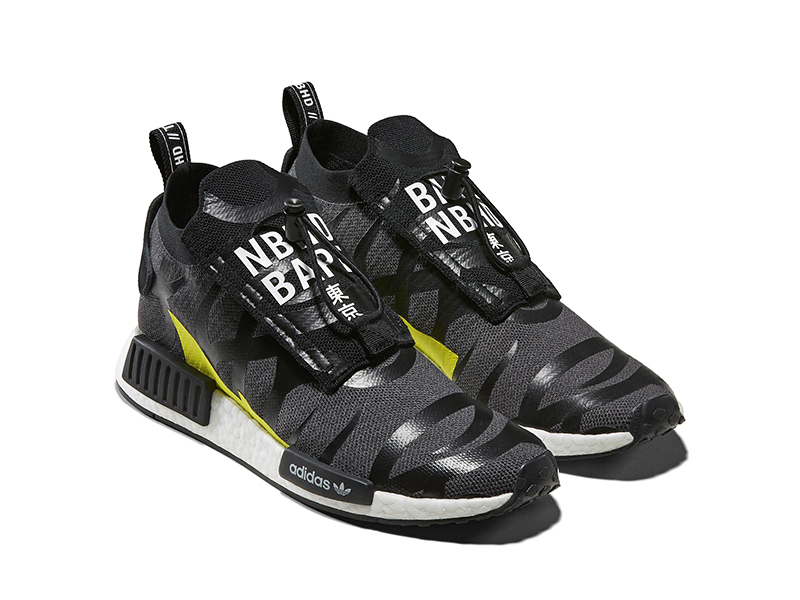 After releasing their collaboration during SuperBowl, adidas and A Bathing Ape (BAPE) got together with Tokyo Streetwear staple Neighborhood for a new capsule collection featuring the POD S3.1 and NMD STLT. The POD-S3.1 fuses BOOST cushioning with design details that made both BAPE and NBHD staples in the streetwear scene, resulting in a perfect synthesis of heritage and forward-thinking. 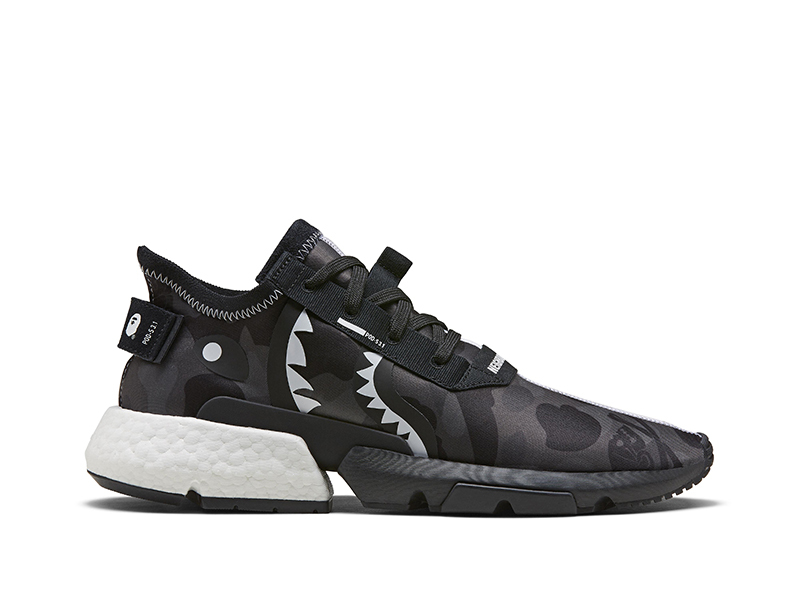 The two-tone camouflage features both the APE head as well as NBHD’s skull and crossbones, while BAPE’s shark teethand eyes are seen on the lateral sides. 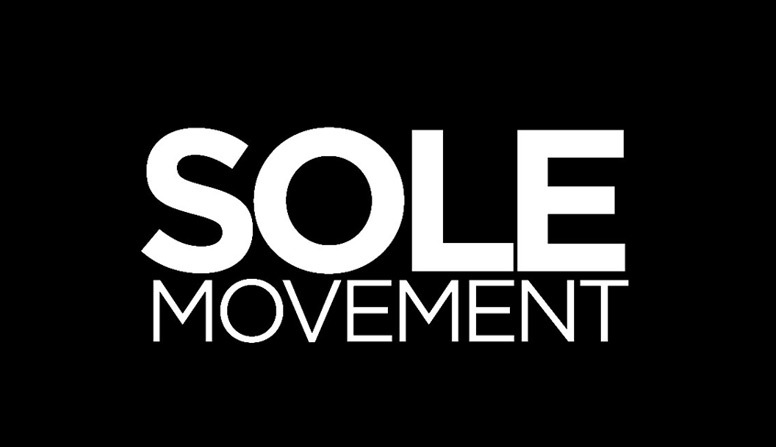 Additional details such as the checkerboard insole, branding across the lacing system and pull tab adorn the sneaker. 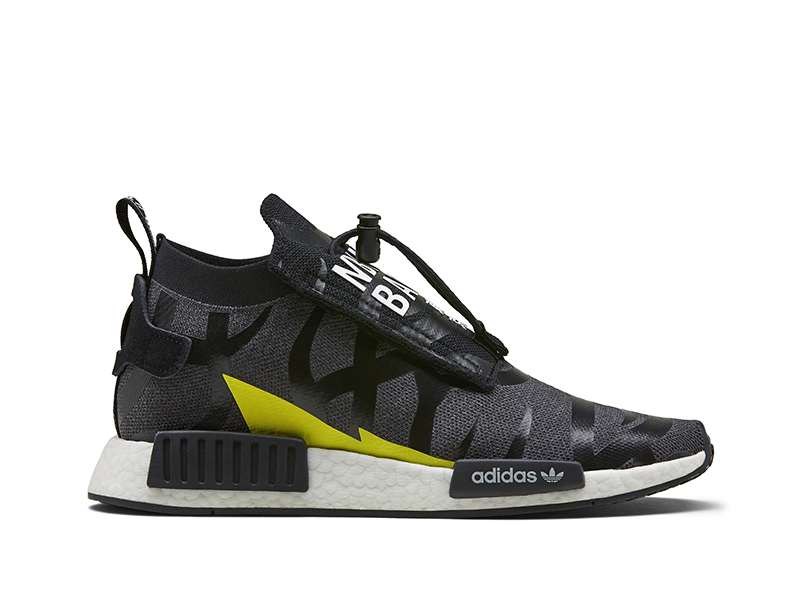 While the NMD is on its final legs, BAPE and NBHD take a crack at reviving the line with the NMD Stealth (STLT). The shoe still features the NMD’s key stylings – BOOST midsoles and Primeknit uppers – but now done in a very minimalist manner that reflects the two brands. 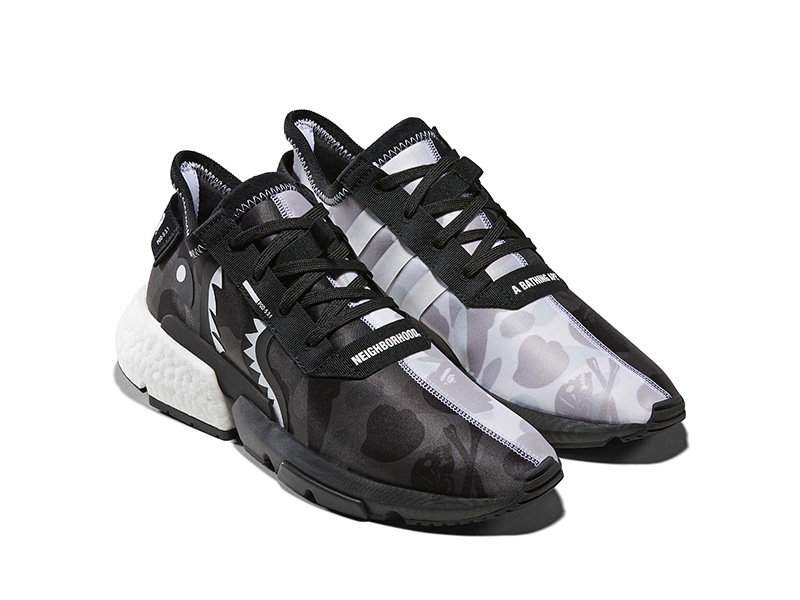 The pattern on the shoe’s upper features lightning bolts to go with co-branded lace cover with bold letters and magnetic lace puller. 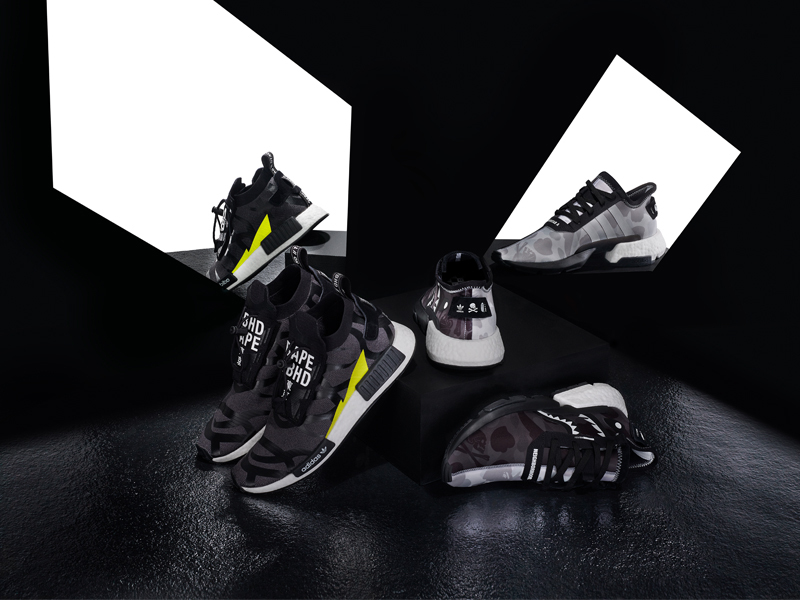 The adidas x BAPE x NBHD collection drops next Friday, April 19, via the adidas PH online store. Each pair retails for Php 12,000. Commonwealth should be releasing them as well but will be dependent on their Holy Week store schedules. Keep it locked here for more information for this release.